Many think immigration presents an impossible conundrum for the Brexit negotiations. Is there any way to make changes that could rebuild trust on immigration in Britain and work for voters on both sides of the referendum, while also giving UK negotiators a positive offer to make to the EU as it seeks the best possible trade deal? 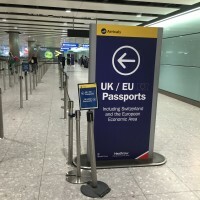 In a new report today, Britain’s immigration offer to Europe, British Future sets out a proposal for a new, preferential system for EU immigration to the UK. Such a system could, we argue, secure UK public support and work for British business; yet it is also politically deliverable in Westminster and for the EU and its member states too. Keeping free movement as it currently stands, however much it might help Brexit negotiations, will not be politically feasible given the central role that immigration played in the referendum campaign. Yet it is in everyone’s interests to get the strongest trade deal possible with our closest neighbours and largest trading partners. Various voices from both sides of the negotiating table have set out their red lines but we have, to date, heard few constructive proposals for a deal that might square this circle and work both in the UK and in the capitals of Europe. Our ‘friends and family’ deal offers preferential European access to the UK labour market as part of a UK deal on trade with the EU. For those above a set skills or salary level, free movement of EU nationals would continue. Post-referendum research into UK public attitudes to immigration shows that while voters would like greater control of unskilled immigration, 88% do not want to reduce the migration of skilled workers that our economy needs. But to address those public concerns, low- and semi-skilled migration would be subject to quotas, set annually by Parliament, after public hearings with employers and local communities. Importantly, the first opportunity to fill those low-skilled migrant quotas would go to Britain’s preferential trade partners – and the first offer of such a preferential trade and migration deal should be made to our EU neighbours. This is obviously not freedom of movement as it stands, so it may not secure unaltered single market access for the UK. But it would give significant and preferential access to the UK labour market for EU citizens – a constructive offer that is capable of securing support from within the European Union. It would certainly be better for both parties than if the Article 50 clock were to run out with no deal having been struck. What’s more, it could help to rebuild public trust in our immigration system here in the UK. A preferential system would bring unskilled migration under UK control, while still ensuring that employers can recruit the staff they need to keep our economy growing, and our country remains open to the immigration that we want and need.